One afternoon, while cleaning out a bookcase in my art studio, I stumbled upon an old manila folder of tear sheets from magazines that I had completely forgotten about. For the convenience of my decorative painting clients, I have always saved tear sheets for consultations. The pages torn from shelter magazines are not only for ideas and design inspiration, but are also good communication tools employed for clarity. This forgotten collection of pictures was different. This one was just for me. I started this collection of images a few years ago... so I only vaguely remembered the contents. As I began to sift though them, I felt my heart start pounding and my knees went a little weak. 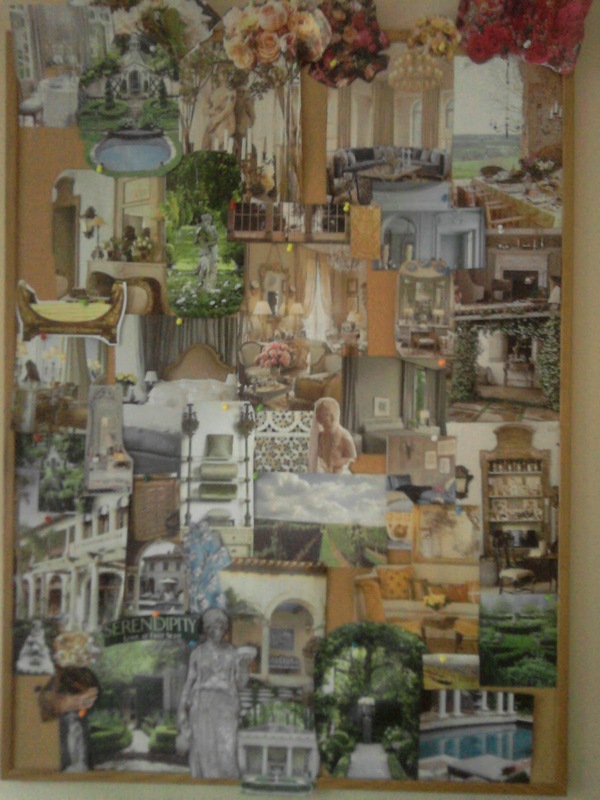 Here were my very favorite clippings and tear-outs from all the magazines, safely tucked away... beautiful interior and exterior images of classical designs. Statues, fountains, gardens, mosaics, richly colored rooms with embroidered fabrics, soaring columns, antiques... Feelings of excitement and anticipation welled within me. Each image was at once so fresh and yet, so familiar. That old folder held a treasure trove of decoration and delight. It was exactly what my hungry creative eye needed. Buoyed by the excitement and anticipation of this recent find, I manically began to pull stacks of magazines from all corners of the studio and the rest of my home. Under the sofa, under the beds, stacked in closets... these magazines have been rich sources of detail for me over the years, and were, therefore, difficult to part with. But now I had this juicy new project that seduced me into the arduous task of editing through them. A treasure hunt was at hand. And out they came. So, I spend every spare minute of the next 4 days clutching my islice (one of the greatest inventions EVER) and sifting through each and every issue. I don't waste a moment analyzing why, or sorting them into distinct piles of reason... I just cut and tear. And cut and tear... Amongst the design images I also add a few extras: a picture of a puppy, a large canary yellow diamond. A vineyard. Bouquets of roses. I have no idea what it means, but I toss them in anyway. The common denominator? The image speaks to me, it resonates an emotion within. In colloquial terms: I'm feelin' it. Before long, there is a bulging file on my desk and 16 bundles of magazines on my curb awaiting recycling. The best parts of them surgically removed. Phew. A big project. My apartment sighs in relief. My space feels better. Open. Cleaner. And my hungry creative eye is satisfied by the visual feast it just devoured. Ironically, within the next day or two, yet another magazine arrives in the mail. It's the an issue of O (Oprah's Monthly Lifestyle Bible). I am not a subscriber, this is sent to me as a promotion. It feels like a cosmic joke. Tired and slightly burnt out, I quickly leaf through it with a strange feeling of obligation (it is a free gift from the Queen of Media, after all). Then, as if by perfect timing, I stumble upon an article that seems to have been planted there only for me to see... The Vision Thing. "Step One: Cut out pictures of things you love. Step Two: Paste them onto paper. Step Three: Realize your life's ambition? Well sort of. 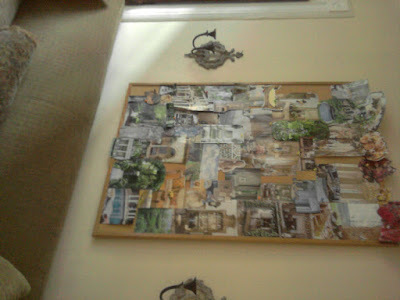 Martha Beck on the right way to use your vision board." I read this article, in it's entirety while standing at the mailbox. I like this Martha Beck immediately. She is descriptive and slightly sarcastic; an open-minded skeptic with the task of writing about a New Agey twist on The Law of Attraction. She rightly calls human imagination "one of the most powerful forces on our planet." And I remember one line that sums up the article succinctly: Consciousness can shape reality. I whole-heartedly agree with both of these statements. So much so, this begs repeating: Human imagination is one of the most powerful forces on our planet... and consciousness can shape reality. She is obviously speaking directly to me, right?! I mean, what are the chances? I feel blessed. I feel guided. Incredible forces of synchronicity are obviously already at work here. I immediately understand what it is I must do. 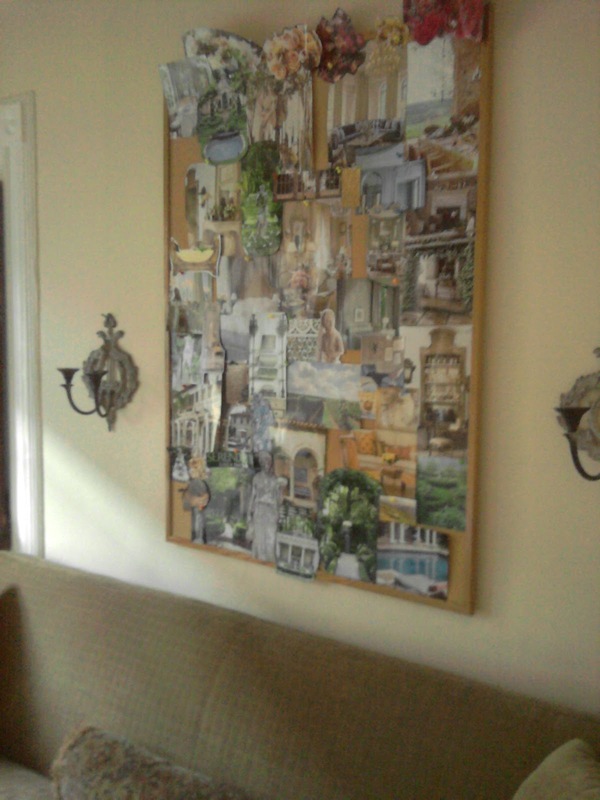 As you can see, my vision board is a mosaic of images mounted with thumb tacks. It's still a work in progress. I like the idea that I can move things around and add to it whenever the mood strikes. When I look at these images I feel both grounded and elevated. These images raise my vibration. On my board is one phrase. It says: Serendipity: Love at first sight. This is to keep me focused: only put things on the board that you love immediately, instinctively. No compromises. No settling. Period. 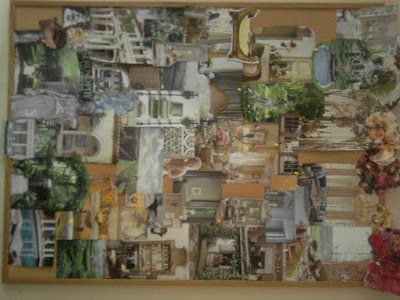 A second view of my Vision Board, a work in progress. for creating and re-creating this piece of "art." It's too soon to tell how this board will "manifest" these things in my life. And I'm not concerned about it. I clearly manifested the board, didn't ? In the meanwhile, it brings me joy just gaze at these lovely images. They keep me in a constant state of wonder. They remind me of how beautiful things CAN BE. We all need something to strive for. Something to aspire to. These elevated forms of beauty and balance finel-tune my eye and make my heart sing. And, in moments of solitude or doubt, they are a comforting reminder of dreams and how utterly powerful they can be. A final thought for today and always, but especially today... 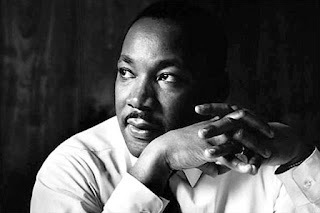 If you are a dreamer like me, stand proud and stand tall, for we stand in very good company. I've been clearing through my magazines this month too and putting together dream pages for myself and clients. I think it helps focus your desires and direction. Thanks for your article and validation. I did a workshop where we made "vision boards" using a similar concept. it was structured around the big changes one wants to make in their life. after creating the vision board, we created action steps and held each other accountable for them. it was nice to organize all the ideas, but the vision board is the most powerful. its like magic watching these images manifest into reality! very powerful.